Some people over age 60 have few, if any, classic hypothyroidism symptoms, while others experience the same symptoms younger people do. Still others have hypothyroidism symptoms that are not typical at all, making the diagnosis even more difficult. 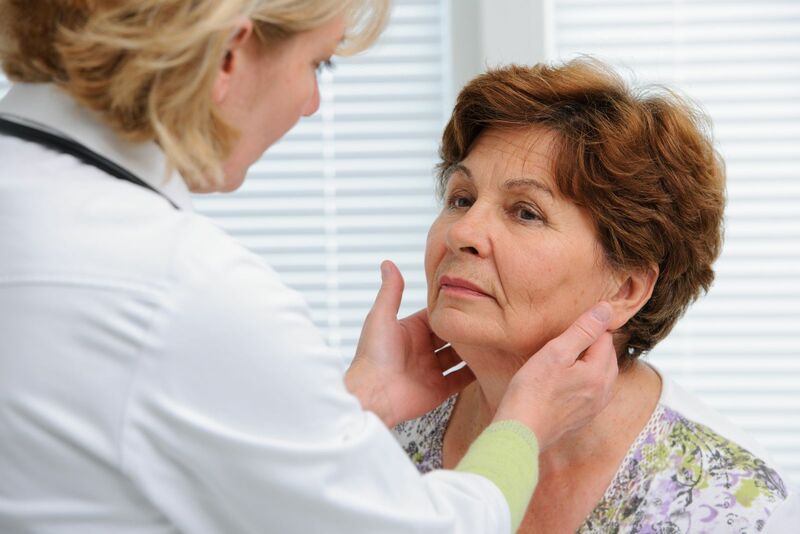 Any of the following signs and symptoms can indicate hypothyroidism in an older person. Unexplained high cholesterol. High cholesterol is sometimes the only evidence of an underactive thyroid in an older person. The problem might be diagnosed as a cholesterol disorder rather than hypothyroidism. Because this sign may stand alone, high cholesterol warrants a thyroid evaluation. Heart failure. Reduced blood volume, weaker contractions of the heart muscle, and a slower heart rate—all caused by low thyroid hormone levels—can contribute to heart failure, a serious condition that occurs when your heart can't pump out enough blood to meet the needs of your body. The ineffective pumping also causes blood to back up in the veins that return blood to the heart. Blood backs up all the way into the lungs, which causes them to become congested with fluid. Symptoms of heart failure include breathlessness, swelling in the ankles, weakness, and fatigue. Bowel movement changes. An older person with hypothyroidism might have constipation because stool moves more slowly through the bowels. A less common hypothyroidism symptom is frequent bouts of diarrhea—a problem more typically associated with hyperthyroidism. Some people with an autoimmune thyroid disease such as Hashimoto's also have celiac disease, another autoimmune condition that can cause diarrhea. Joint or muscle pain. Vague joint pain is a classic hypothyroidism symptom. It sometimes is the only symptom of hypothyroidism in an older person. Many people experience general muscle aches, particularly in large muscle groups like those in the legs. Psychiatric problems. Clinical depression—a common symptom in younger people with hypothyroidism—can also affect older people with the condition. The difference is that in older people it can be the only hypothyroidism symptom. Some older adults also develop psychosis with delusional behavior or hallucinations. Dementia. Debilitating memory loss that is often, but not always, accompanied by depression or psychosis can also be the lone symptom of hypothyroidism. If you or a loved one is being evaluated for dementia, make sure that a thyroid test is part of the evaluation. Balance problems. Hypothyroidism can lead to abnormalities in the cerebellum (a region at the back of the brain that's involved in motor control). This may cause problems with walking in older people. To learn more about diseases and conditions of the thyroid, read the Special Health Report, Thyroid Disease from Harvard Medical School. Ask the Doctor: Is Zika virus a risk for pregnant women in mosquito-ridden areas of the United States?